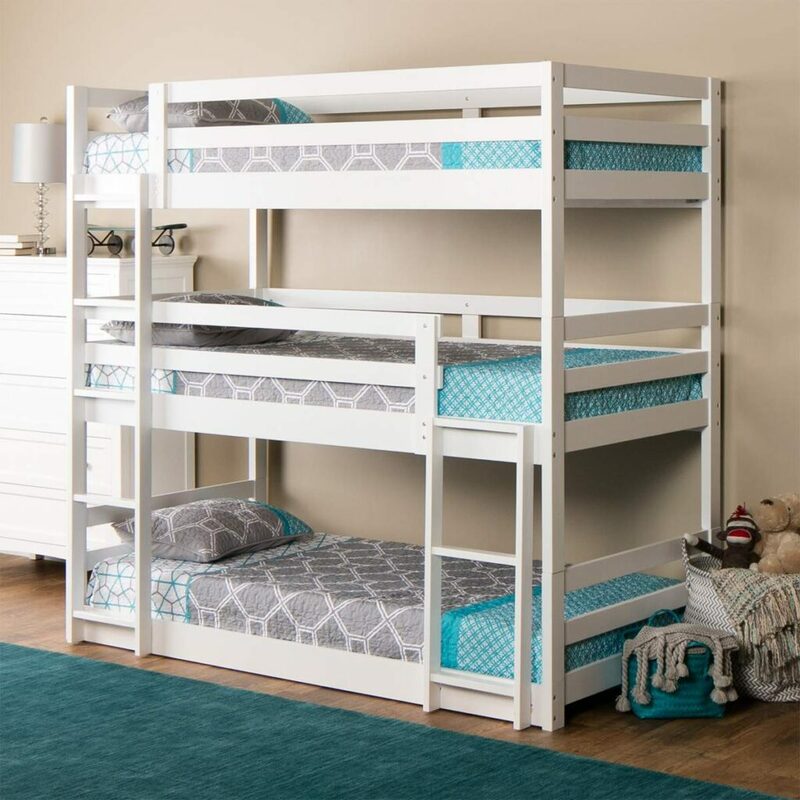 Bunk beds are a parent’s best friend… Or a grandparent’s… Or a college student’s. When you have children that are of a similar age, bunk beds let them share a room. When you plan to have the grandkids or nieces and nephews over often, bunk beds give everyone a bed to sleep on without having to give up every room in the house. When you’re off to college, roommates are practically mandatory, as are bunk beds, if you want any space. 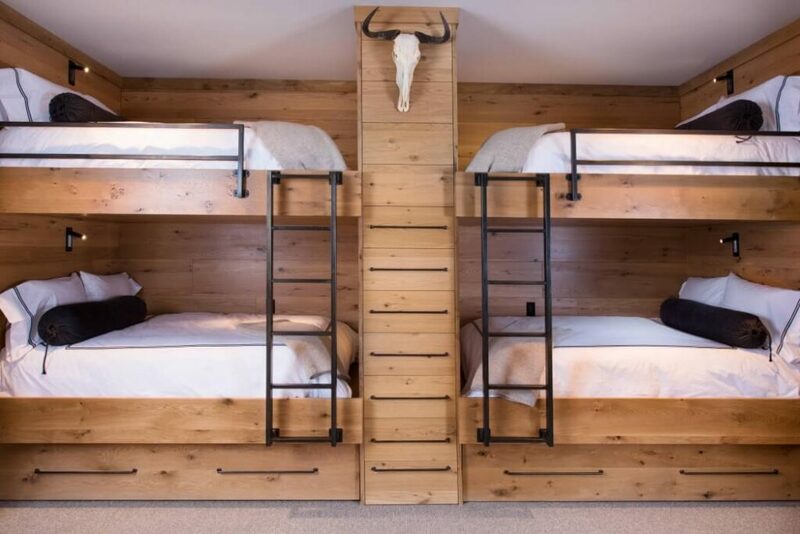 The image that comes to mind, though, when you say bunk beds…. most people just think two beds stacked on top of one another. While that was the way things were initially, there’s so much more than just that! Now you can have ‘themed beds,’ beds that are also part jungle gym, beds for four or five people… The options are only as limited as your imagination, your space, and your pocketbook. Bring some creativity to the bedroom and make it as personal as the rest of your home. You can add a touch of whimsy to your bunk beds by framing them and adding decor around the edge. You could do pine boughs for the holidays, lights year-round, or fabric draped around the edges to create an Arabian theme. For the children that never seem to be tired, you could build them a playground right in their room. Rainy days are no longer a problem when they can climb and swing day or night. You could even add your own touch to the plan by adding rock-climbing gear at the ends. Fair warning, you might want to put a mat under the monkey bars, just in case they fall asleep while playing. Again, the ideas here are endless. By anchoring the beds to the studs in the walls and then bracing them underneath, you could create a raised platform that leaves plenty of room on the floor. Alternatively, you can place the beds on the floor, join them along the top, and frame around them to create an entirely new room. If you’re looking for something a bit more ‘grown up,’ you could consider a plan like this. Clean lines, solid colors, and squared away edges give the beds a more mature feel. Just as mature, but with a more rustic appeal is this set of beds. When it comes to creating a more ‘mature’ plan, consider the room as a whole, as well as how the beds link together. While kids might not mind being so close, often times adults need a bit more space, when space allows. If you’re looking for a way to give more privacy and personalization to bunk beds, consider adding curtains and alcoves. You can also create nooks in the spaces between the studs the beds are attached to, which allows for the storing of books or other items. 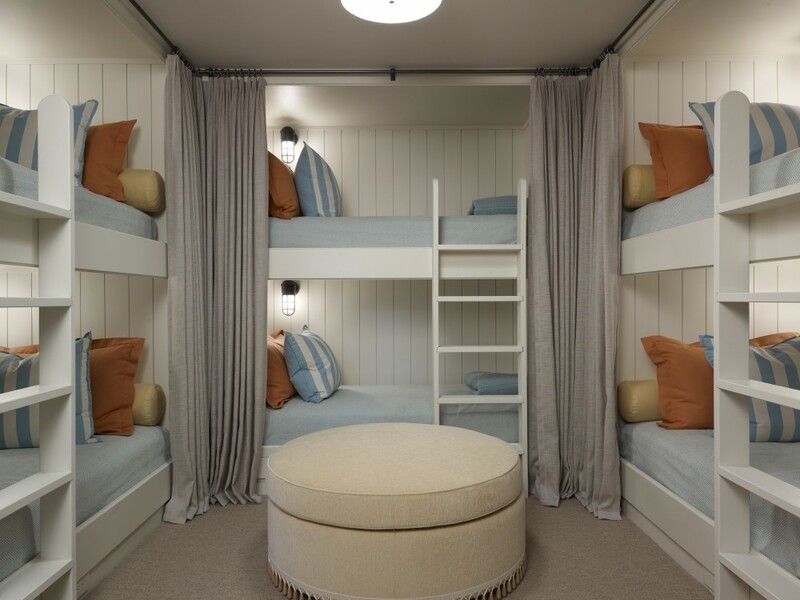 You could even add in small lights for each bunk so that they don’t disturb each other staying up. How Many Can You Fit? If you’re looking for bunk beds for more than just two to a room, the inventive people of the internet have you covered. While you might not need all the beds at any one given moment, having this many means you will always have room for a friend or five to sleep over. When it comes to creating a more ‘mature’ plan, consider the room as a whole, as well as how the beds link together. When it comes to bunk beds, why stick with just stacking one on top of the other? Bring some creativity to the bedroom and make it as personal as the rest of your home. 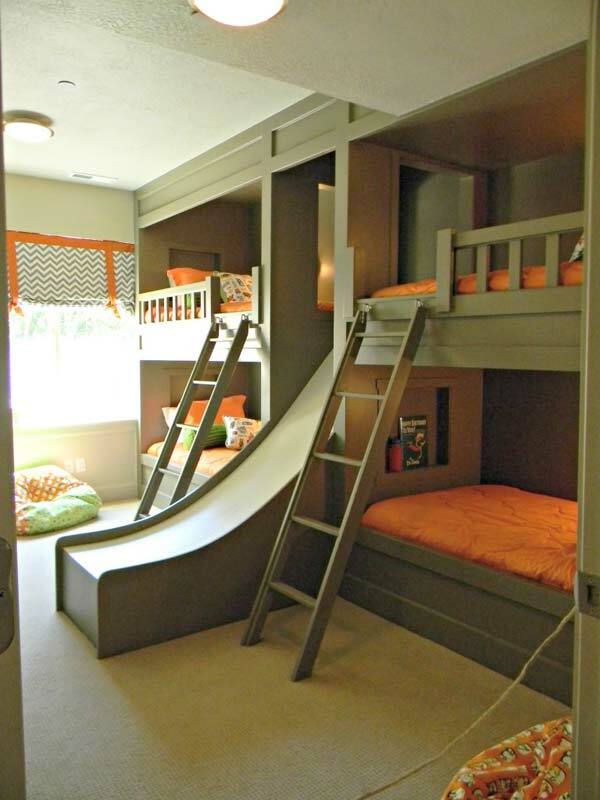 We hope you liked this round-up of bunk bed ideas. If you have some we missed out on, let us know!